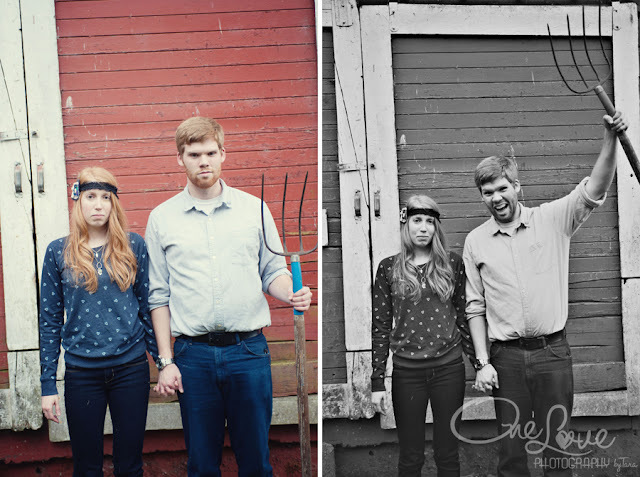 Oh I had so much fun doing Tamasen and Daniel's engagement session in Battleground WA. Our weather was so unpredictable that day... We canceled at first due to rain.. then the sun broke through the grey clouds a bit and we jumped at the opportunity to get out there and take advantage of the dry weather while we had the chance. It was so perfect. The sky was a giant soft box and we didn't get rained on. We went to the location where they got engaged. I was impressed with the massive old barn. There were lots of animals hanging out with us too. We even spotted an owl. The chickens loved the camera and Daniel made friends with a cat. I'm so thrilled that these two have chosen me to be their wedding photographer. I am so excited to work with them again and tell the story of their wedding day. I hope you enjoy these images as much as I do! What do you think? Did you love them? ?